In an exclusive interview with Al Jazeera English, a Syrian defector expands on the threats posed by defecting from the Syrian Armed Forces. He argues that people are reluctant to join the opposition due to punishments and retaliations inflicted by the regime. How can one be asked to defect when his family will be arrested or killed? The colonel also calls for greater intervention from the international community. 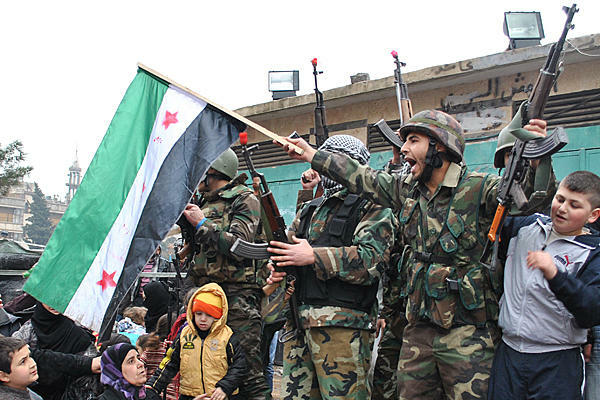 Despite the alleged American support to the Free Syrian Army, such help must be more constructive. This Wednesday, 18 July 2012, the United Nations Security Council will vote on a resolution regarding the U.N. observer mission in Syria.